What they all have in common is that they’re quoted and attributed to these famous people on thousands of websites, but none of them are true. There’s actually no legitimate record of these quotes being said by anyone of note, with one exception: the line attributed to Machiavelli was actually said by Newt Gingrich in 1991. I bring this up to make several points. Feel free to quote me if you like, for all the good it’ll do. First, the internet is far and away the most insidious source of misinformation in human history, and that’s no lie. Just about every contemporary myth, fad, and crowd-sourced bit of pseudoscientific nonsense is a result of history’s most powerful echo chamber, the worldwide web. In other words, whatever you happen to be reading, referencing, or retweeting – a research study, a famous quote, a statistic, a nugget of generally accepted common wisdom, even someone’s bio – has about as much chance of being genuine as not. Let’s be honest, the same may be true of some of the content you generate. Second, the only useful purpose for quoting someone is to make or reinforce a point. It’s a highly effective tool that adds credibility to business presentations and writing. 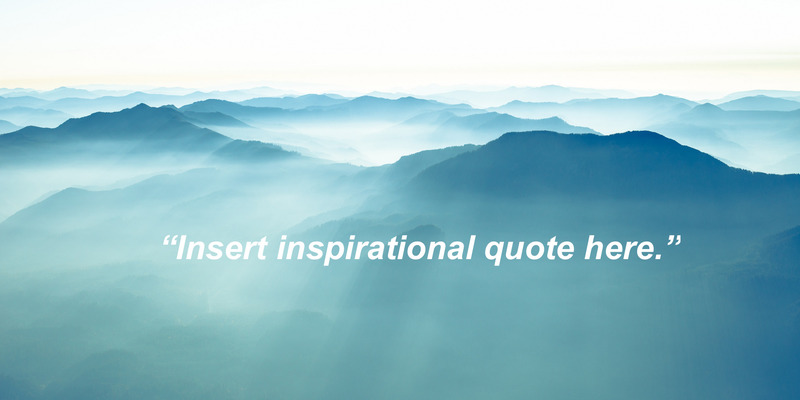 But the motivational / inspirational quote thing has gotten seriously out of control. The problem is context, or lack of it. Quotes taken out of context and of questionable authenticity are to complete works of art and literature as a single brush stroke is to Van Gogh’s Starry Night, “Who is John Galt” is to Ayn Rand’s Atlas Shrugged, and the final chord is to The Beatles’ Abbey Road album. Why are quotes so popular? Simple. Content generators post them because they’re lazy and unoriginal. If they have an intelligent viewpoint to share, they post it. If not, they copy and paste quotes from quote sites. After all, they’re easy to generate and click-bate for the masses. Why are we drawn to them? The answer, I’m sad to say, is another uncomfortable truth. They’re not just easy for whoever generates them; they’re easy for readers too. For a brief moment in time, they fill a void – a need for instant gratification, reinforcement, or distraction. I’ve certainly been influenced by plenty of people, books, plays, and songs over the years. It was never a single quote or riff that got to me, however, but the entirety of the story they told, the point of view they expressed, the thoughts they provoked, or the emotional chord they struck that continued to resonate long after the experience was over. Finally, if you think you need sound bites to inspire your work, then you’re in the wrong line of work. If your work doesn’t inspire you, you owe it to yourself to search for work that does. And searching for quotes to keep your spirits up is like filling a bottomless pit with a few grains of sand. Happiness comes only from within.